Classic grab handbag in hand grained Italian leather, crafted by Italian artisans at Anna Cecere. This elegant, timeless grab bag is perfect for day or night. 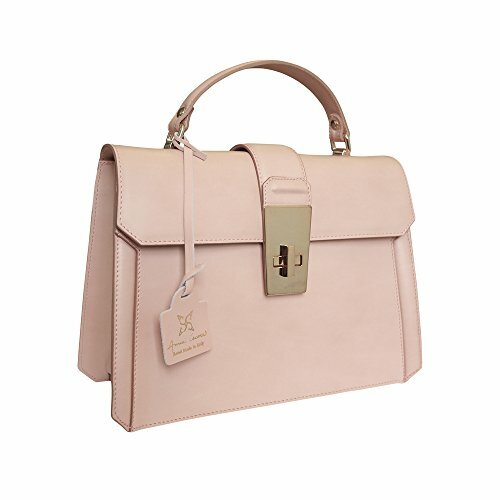 Handcrafted in a pale pink leather, the bag features a single top handle a front flap with a leather strap and large gold coloured metal push lock closure. The addition of a long detachable shoulder strap means it can be used on the shoulder too. The single interior compartment is plain lined and has a wall zip pocket. Gorgeous, luxury grab handbag, beautiful and practical.